Fame, fortune, an Oscar, Annette Bening: This Thanksgiving, like any other, Warren Beatty had a lot of reasons to feel thankful. But he also had one very big reason not to, namely a bit of bad news that could spoil any Hollywood star’s holiday. Rules Don’t Apply, Beatty’s first directorial effort in 18 years, tanked hard at the box office. Like, really hard. 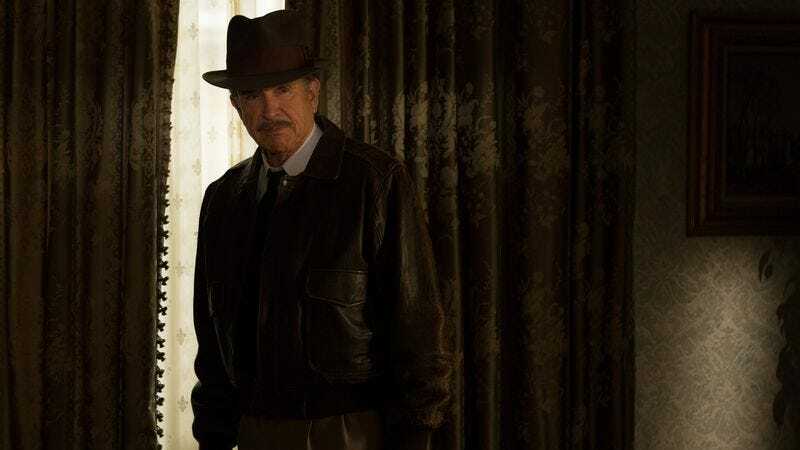 Inexplicably released into more than 2,000 theaters at the same time, the oddball Howard Hughes biopic landed in eighth place, grossing just $2.17 million over five days—a paltry sum that makes it the worst wide-release debut of the year, and the sixth worst of all time. For Beatty, who’s had a pretty charmed career these past several decades, those returns probably went down about as smooth as raw poultry. Why did Rules Don’t Apply do so poorly? Analysts have floated plenty of explanations, including the low wattage of its cast (Alden Ehrenreich hasn’t played Han Solo yet, after all), the unfashionably old-fashioned premise, mediocre reviews, and the fact that something this unusual generally benefits from a slow rollout, not an instant dump onto the harsh battlefield of wide release. But here’s an alternative (and much simpler) explanation: The film wasn’t a new animated blockbuster from Disney, which basically has Thanksgiving (and who are we kidding, the multiplex in general) on lockdown at this point. Moana was the big winner of the long holiday weekend, pulling in $81.1 million over its first five days of release and landing behind only fellow Disney-princess product Frozen on the list of all-time Thanksgiving openings. Mouse House employees ate well this Thanksgiving. Further down the chart, in an seventh-place showing that its title character would probably take perverse pride in, Bad Santa 2 offered further evidence, after the year’s earlier Zoolander 2, that churning out a very belated sequel to a comedy hit from the early 2000s isn’t a foolproof recipe for box-office success. Will the film, which earned just $9 million over five days, make up ground over the weeks leading up to the actual holiday it depicts? Don’t count on it—Office Christmas Party will soon fill that yuletide-chuckles void. Meanwhile, on the limited-release front, Manchester By The Sea added 44 theaters nationwide and cleared a million-and-a-half in ticket sales. That’s one thing The A.V. Club is thankful for this holiday season.